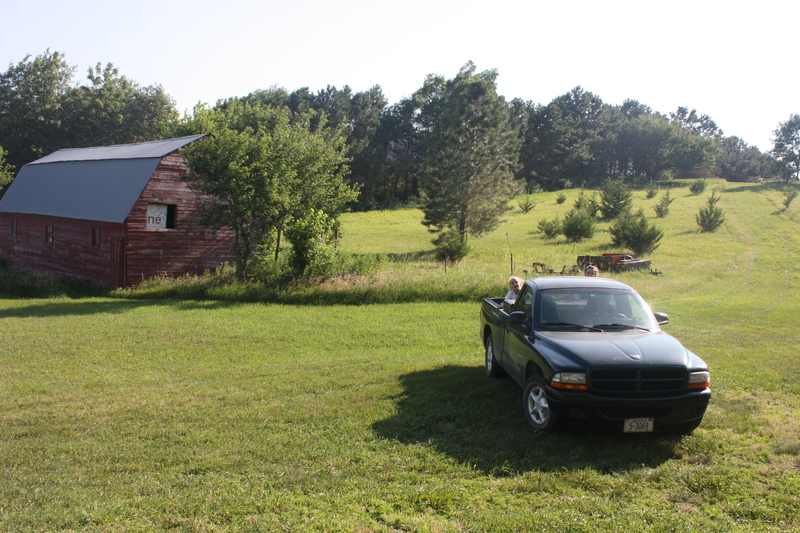 My brother and I grew up on a gravel road, several miles from the nearest highway or town. But you bloom where you’re planted, right? 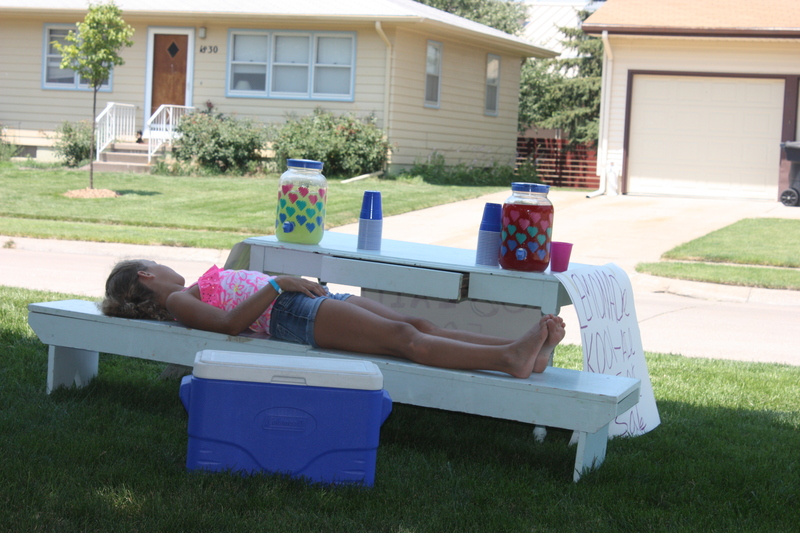 So one day we decided to give the lemonade stand thing a go. 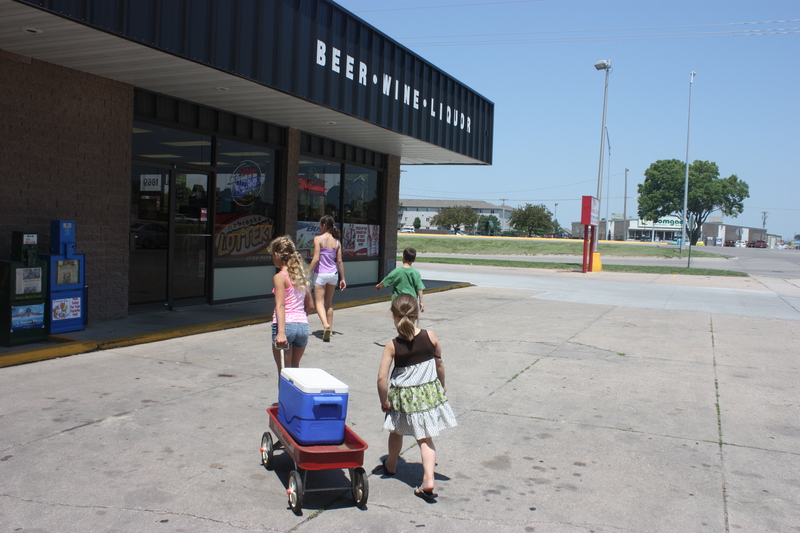 We set up shop at the bottom of our driveway, and parked ourselves in the sweltering heat. The traffic on our old country road averaged one car an hour, so I can’t imagine what we were thinking. 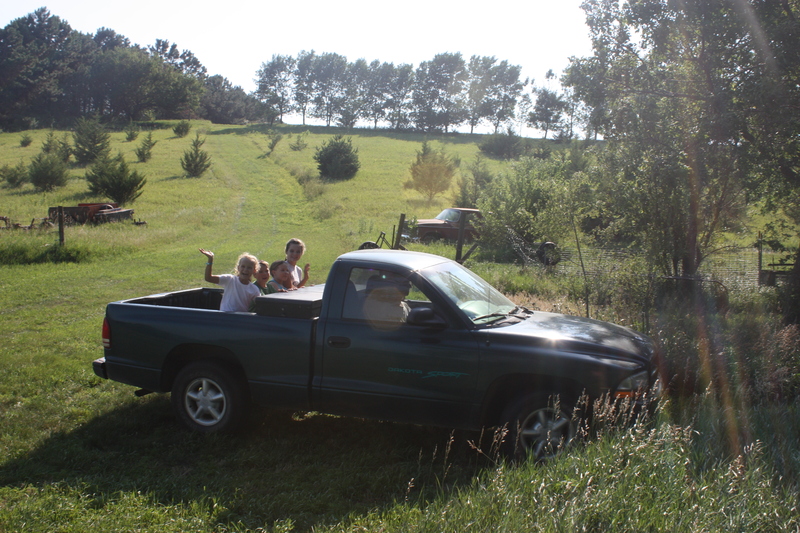 I can’t remember how long we sat there, how many cars kicked dust in our face as they zipped past us, or how much we charged for our little cups of lemonade. What I do remember is the kindness of one woman and her teenage daughter. Their car initially flew past our driveway, but a few seconds later we saw brake lights. As we fanned the dust from our eyes we realized they were backing up. We joyously wiped the dirty sweat from our foreheads as we watched the ladies stop their car and climb out. Customers. Our first! We poured them their lemonade (who knows how horrid and hot it was by then) and they paid us a full dollar for the two glasses. They refused to accept any change. A DOLLAR! We were overjoyed. After they left, we closed our shop and screamed up the driveway with glee. I wish I knew who those ladies were, so all these years later I could thank them for the five minutes they spent showing kindness to a couple of country kids. I had forgotten this memory until “Cousin Week” two years ago, when I emerged from the shower to find the kids making giant vats of lemonade. 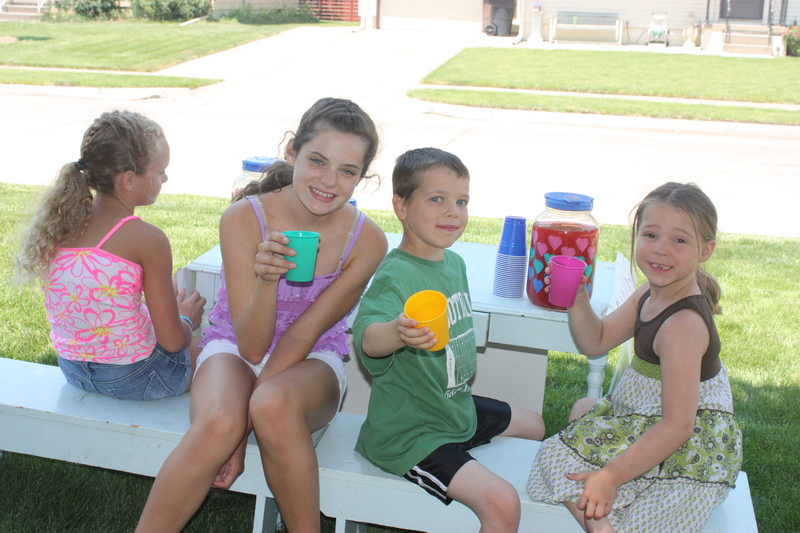 They had decided to have a lemonade stand contest, right here at Grandma and Grandpa’s. It was Kylie and Sam vs. Madi and Maggie. 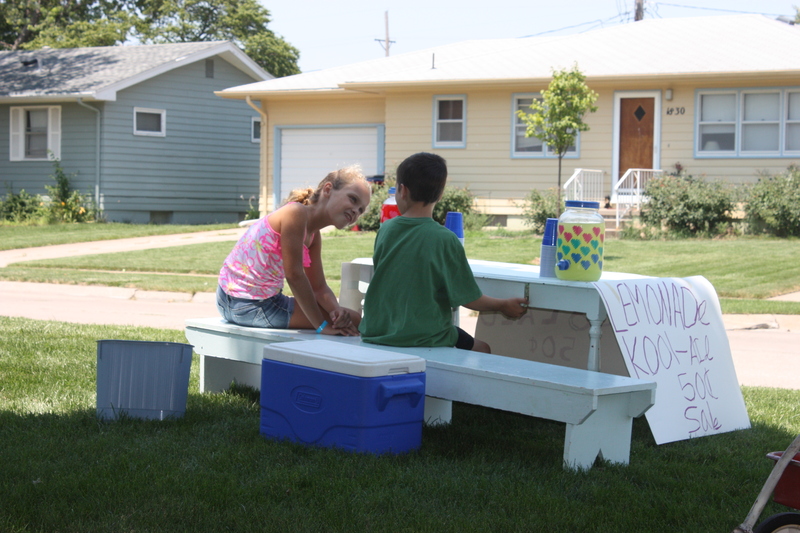 In addition to lemonade, Kylie and Sam recited Shel Silverstein poetry to all their customers. They thought it gave their stand an edge. 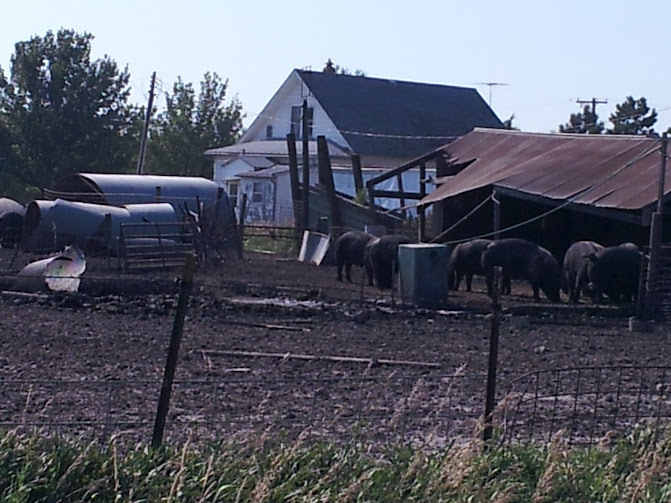 Of course, their only customers were the family members who drove out here to visit us. 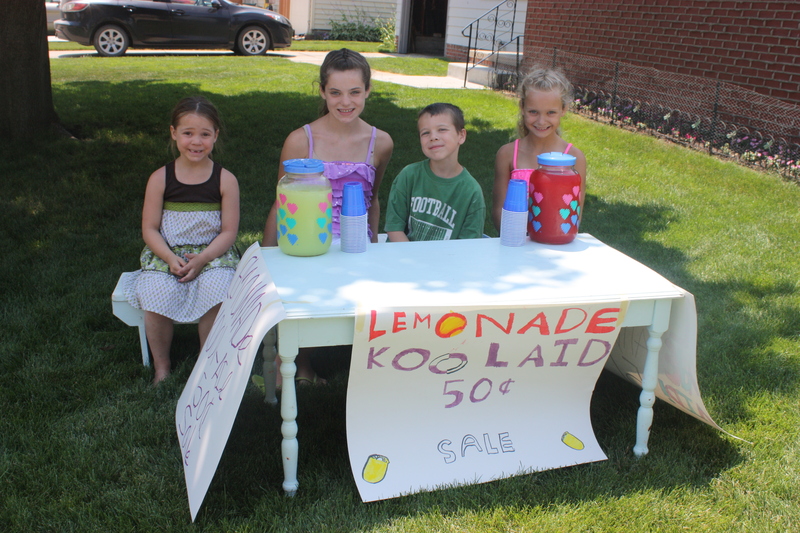 The kids still had fun, but this year we decided to step it up a notch and move the business into town. Grandma Nola lives on a great street with plenty of shade and traffic, and she was definitely game! I tried to make it educational, price shopping for the products and calculating the profit margin. Dad hooked us up with a donation of ice from the local liquor store, and we were set for business! Most of our customers were Nola’s neighbors, family members, and the Great Grandmas. 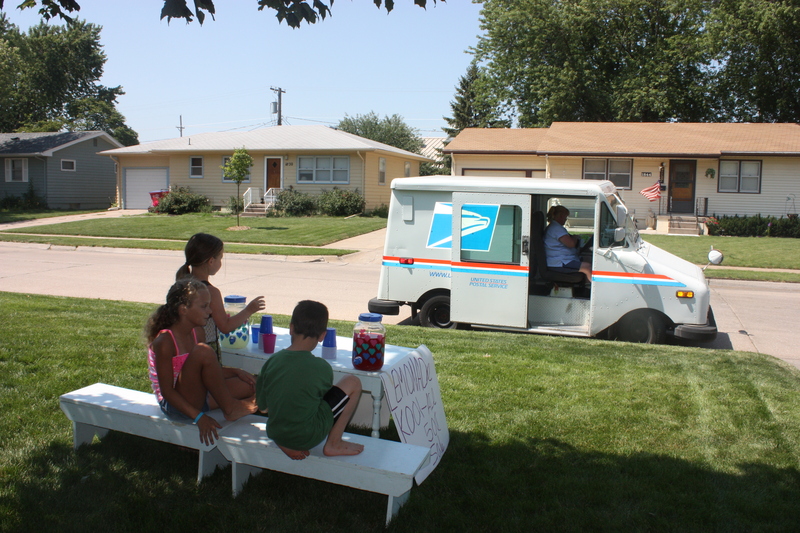 The mail lady stopped for a few glasses, and so did a random lawn mowing service dude. In the end the kid made a $13 profit. They decided to combine their funds to buy a board game to keep at Grandma and Grandpa’s that they can play here every year. It is called Headbanz, and it is hilarious! 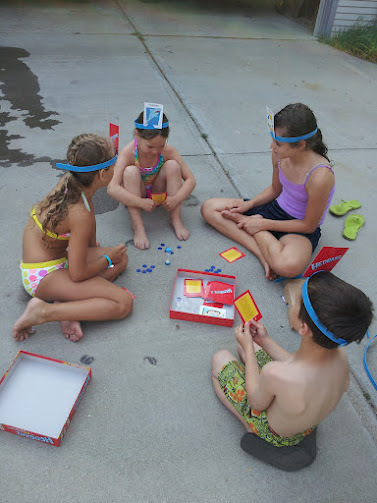 Enjoying the lemonade stand profits… playing Headbanz in the driveway! Business was slow at first, so Kylie escaped to the tree with a good book! Madi and Sam… if I had to guess, I’d say she is harassing him about that tooth! 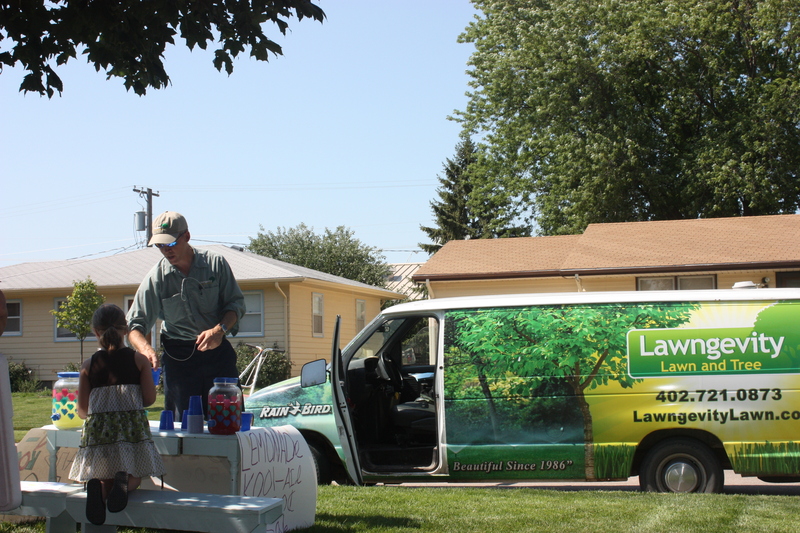 Serving the Lawngevity guy. Catchy name for a mowing service! And then came the highlight of the kids’ day. Not the lemonade stand or even the pool. Nope. Every year it is all about truck rides with Grandpa. We can hear them squeal with joy as they cruise up and down the pasture, precariously bouncing in the greasy back of his Dodge Dakota. You’d think we had roller coaster in the bean field the way these kids howl! 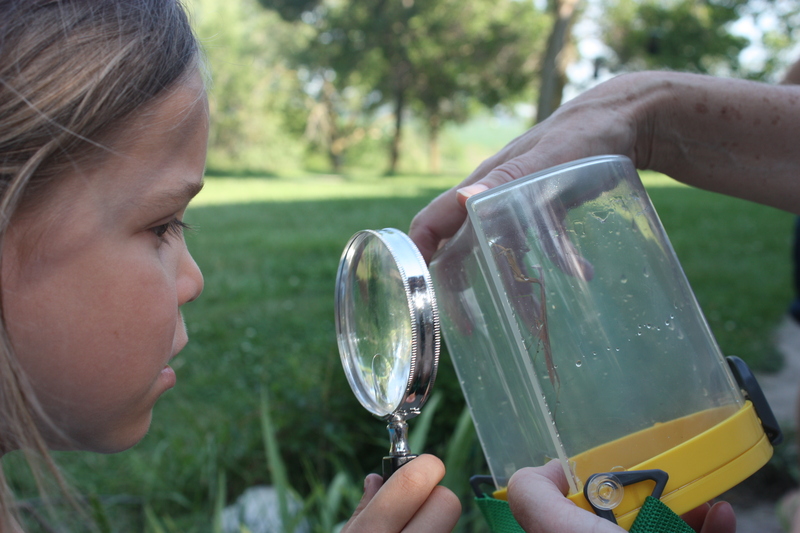 Once again the night ended too late… the kids were busy catching fireflies and had no interest in coming inside. Eventually the promise of milkshakes lured them into the kitchen, and Hugo Cabret helped calm them for bed. Which is good, because they need their rest. Another big day is planned for tomorrow!